The hardest part of the last eight months has been that it has been nothing but planning, planning, planning. In the last month I have had at least three dreams about visiting the Facilities Planning office at the Ohio Historical Society. Last night I had a dream that I went to visit the office. Fred was there. But everyone else was a little kid. When they weren't looking I snuck into my office to look at old plans of projects that I had completed. This week we completed the gift shop installation and had our first logo products arrive. I have been talking about the importance of getting a gift shop open since I first arrived. In a planning document dated April 7 I proposed: "The gift shop is a key component of the visitor information center. The FY 2011 budget includes $6000 in gift shop receipts. Slat wall shelving will need to be purchased and installed. The museum has a supply of desert related books, but museum specific items logo items such as hats, cups, and prints will need to be produced and purchased." 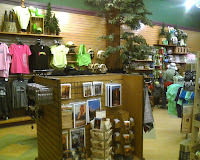 A couple weeks later, I went to Yosemite National park with Bryan and saw the gift shop I envisioned. I began planning and completing construction drawings. 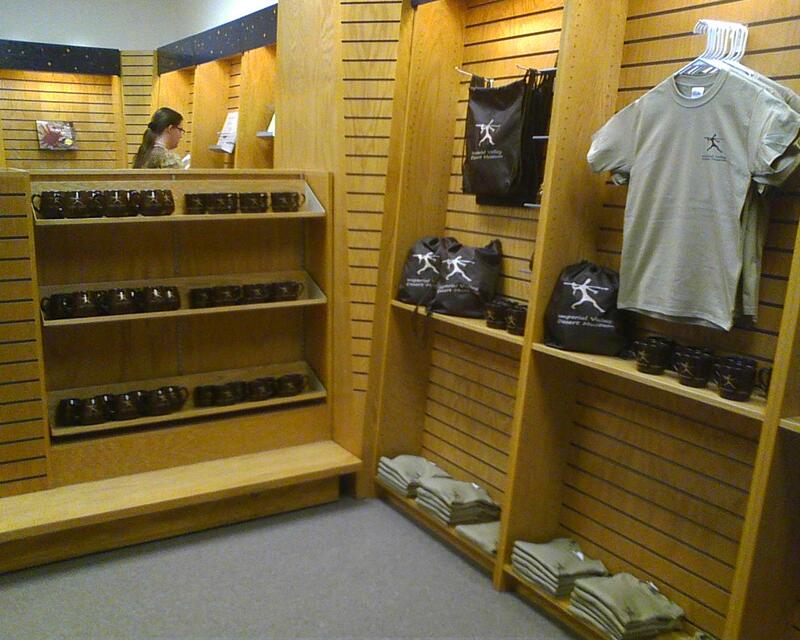 This is the gift shop at Yosemite. A few we ago we purchased fixtures from the Borders that closed in San Diego. Last week our logo products came in. This past week my new friend Jimmy ran all the electrical work, I screwed the cabinets together, and Marty the Board President cleaned everything with Murphy's Oil Soap. Voila! We have a gift shop. This is the first hard installation of something that I have planned here as a necessity to getting opened. It only took nine months. I don't know if this is long or short. I had hoped to get a gift shop up during my second 90 days. I first looked at the fixtures at Borders the day Martin left. That was August 15. So I missed my goal by nine days? At the Turks and Caicos Museum I built and installed the new gift shop after I had been there six months and 15 days (I just checked it on this blog). 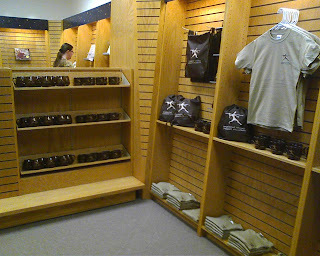 In March 2010, our gift shop sales for that month were more than the total sales of 2007 and 2008. It took 24 months for the gift shop to become an effective integral part of the museum operation. OK, I guess I got benchmarks.